Anyone can offer wall-to-wall carpeting in Greater Philadelphia area. But only Zakian can provide outstanding service and an exceptional value on quality wall-to-wall carpeting in the Radnor area. Look no further. 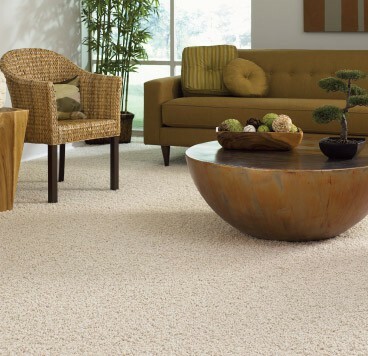 From wool blend carpets to the finest Stainmaster broadlooms, Zakian can add a new element of warmth and beauty to your home at prices that other Radnor carpet installers simply cannot offer. Our wall to wall carpeting is exquisitely detailed with fresh patterns and colors that bring out the best a room has to offer. From profoundly elegant to imaginative textures, our exceptional broadlooms come from some of the top mills in the nation including Masland, Shaw, Mohawk and others. 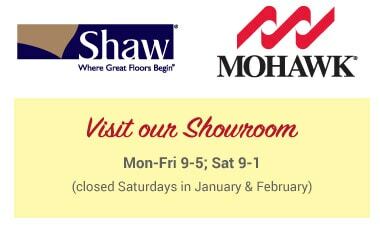 Stop by our showroom to browse through our many collections. Or, see these beautiful carpets in your room setting – we’ll bring the wall-to-wall samples to you for convenient in-home shopping. Still Can't Find Wall to Wall Carpeting in Radnor? Call Zakian! 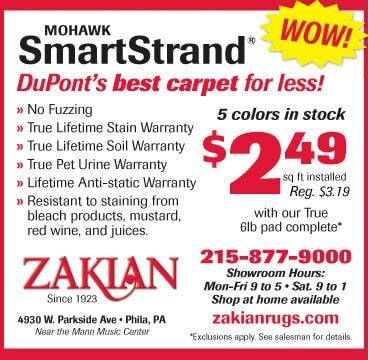 Don't forget at Zakian Rugs we offer carpet cleaning in Radnor and around the Greater Philadelphia area when you need it. And of course, only Zakian gives you a lifetime warranty on installation. We always have a collection of top quality bound remnants, roll ends, and discontinued styles from the nation’s best mills including Masland and Karastan. Most are offered at 70% - 80% off retail prices. New pieces arrive every week. 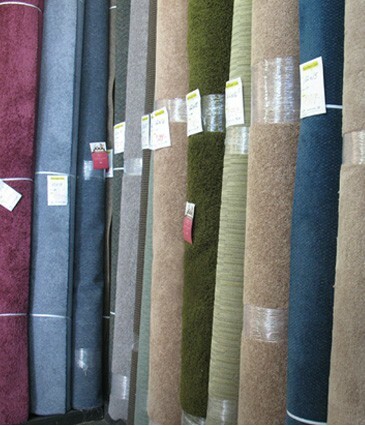 Stop in to see our latest inventory in wall to wall carpeting for Radnor residents! Tip: Be sure to measure your room before you come in so we can help you find the perfect piece of carpeting for that special space.